Alison Thewliss, MP for Glasgow Central, has pledged to work alongside leading charity, Arthritis Research UK to represent the thousands of people in Glasgow living every day with the pain of arthritis. Arthritis is the single biggest cause of disability and pain across the country with 10 million people living with arthritis, and other musculoskeletal conditions such as back pain. The pain, fatigue and lack of mobility caused by arthritis affects every aspect of a person’s life, making everyday tasks such as making a cup of tea, travelling to work or getting out of bed extremely difficult. As well as the personal impact, the cost to NHS Scotland for hip fractures alone exceeds £73 million per year, and these conditions are the cause of one in five working days lost in the UK. “I’m proud to champion Arthritis Research UK’s policy calls to tackle the prevention, transformation and cure of arthritis. We need to put the issues affecting people with arthritis at the forefront of Parliament’s agenda. 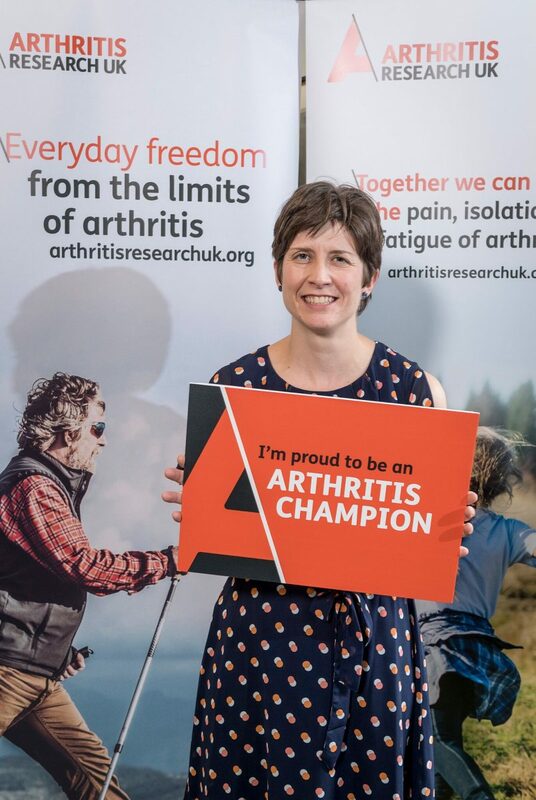 “I’m delighted that Alison Thewliss MP has become an Arthritis Champion. It’s imperative that we have the support of as many MPs and Peers as possible to stand up for the rights of people with arthritis.